No Callout Fee. One Call, Solves All. There are a lot of plumbers that still use the older Electric Eel drain cleaner (also known as a plumbers snake or a drain snake) method today and only few that use a High Pressure Water Jetter, but which is the better choice to clear a blocked drain an Electric Eel or a High Pressure Water Jetter this is a common question asked when a blocked drain or clogged drain becomes a problem. In this article we will compare the two based on time, cost and effectiveness. The first Electric Eel or Drain Snake was invented in 1933 the Electric Eel works by a motor spinning a steel cable with a cutting head attached to the end. The cable is fed into the pipes chewing and mashing whatever it comes in contact with, however the further the head is away from the plumber the more uncontrollable it becomes. The High Pressure Water Jetter is far newer technology it pumps water at roughly 5000 psi which is strong enough to cut tree roots. The Water Jetters consists of a motor which pushes water through the water hose and finally out of the head which has an outlet on the front to clear the way and multiple outlets behind it facing all directions which clean the pipes and propel the Water Jetter through the pipe. Electric Eel – The time it takes can vary depending on depending on the depth of the blockage and how bad the blockage is. Some badly blocked drains have taken up to 8 hours to clear with an Electric Eel. High Pressure Water Jetter – The Water Jetter is much faster in terms of clearing the blockage the average time to clear a blockage is 30-45 minutes. Electric Eel– When an Electric Eel clears a blocked drain or clogged drain it often leaves behind tree roots and debris because it does not fit the pipe diameter perfectly, this can lead to waste and debris getting stuck on the uncleared roots and debris. The negative side to the Electric Eel is that when the cable spins the cutting heads they thrash around in the pipe banging and hitting the pipe walls chipping, cutting and cracking them leading to further damage and can lead to collapsed pipes. An Electric Eel will lose its effectiveness the further it travels into a pipe usually after 20 metres an Electric Eel is no longer effective. High Pressure Water Jetter – The Water Jetter clears pipes incredibly effectively, clearing tree roots effectively from the pipe so well that you can no longer see them with a drain camera. The Water Jetter also cleans the walls of the pipe washing away old waste, debris, fats, oils and anything that has built up on the pipe walls. The Water Jetter can travel up to 60 metres (180 feet) and maintains its effectiveness right to the end which is long enough to clear the majority of residential, commercial and industrial buildings. Electric Eel – The costs involved to get a pipe cleared with an Electric Eel are usually higher because Electric Eels can take a fair amount of time to clear a blocked drain depending on the depth of the blockage and how bad the blockage is. More time equals more money. High Pressure Water Jetter – The cost involved to get a pipe cleared with a Water Jetter will always be cheaper than an Electric Eel because of the time involved. The Water Jetter clears blocked drains much quicker than an Electric Eel so you won’t be paying hours and hours of labour. Overall the High Pressure Water Jetter is a smarter choice based on quality, cost and time. Unfortunately the Electric Eel or Drain Snake is becoming obsolete; it was much better back in the day when all we had was a steel wire with a hook on the end to clear the drain. When the Electric Eel became available people stopped using the less effective and older method. 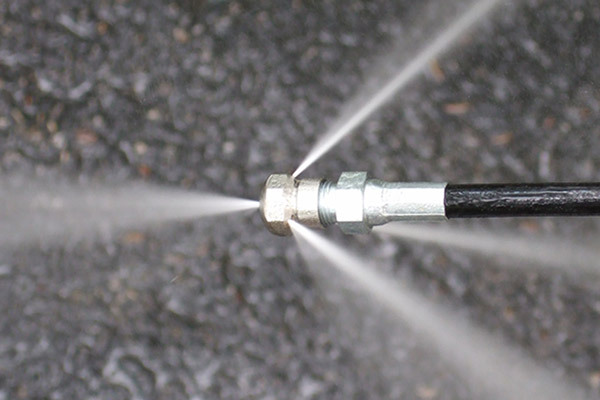 The High Pressure Water Jetter is the newest and most effective tool in the industry today. So if in the unlucky event you do get a blocked drain or clogged drain make sure you hire a licensed plumber fully equipped with a High Pressure Water Jetter it will save you time and money giving you piece of mind and convenience.